Two people died after a person driving a stolen vehicle and fleeing from Deputy County deputies crashed into their car. That driver is in custody. 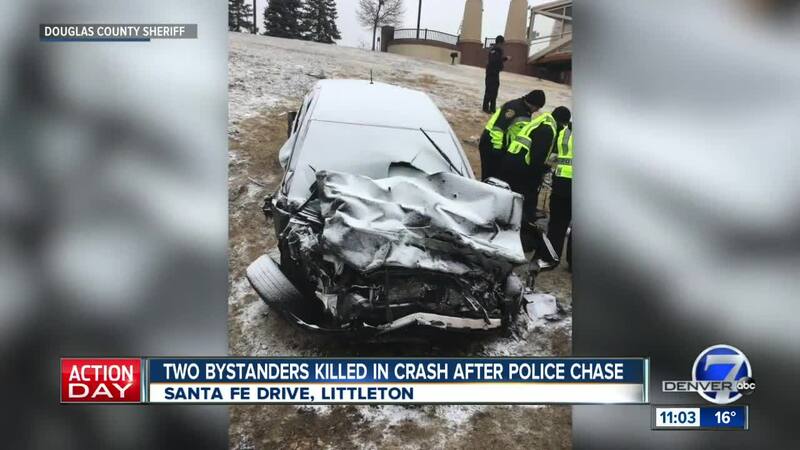 LITTLETON, Colo. – A woman is in custody and another one is on the run following a crash in which two people were killed early Wednesday morning. Police in Littleton closed both directions of S. Santa Fe Drive at W. Mineral Ave. after two people were hit by the driver of a stolen vehicle shortly before 2:30 a.m. The driver and passenger that were hit were pronounced dead by authorities just before 4 a.m.
Police said the earlier that the stolen vehicle came from the Castle Pines area, but it has since been recovered. 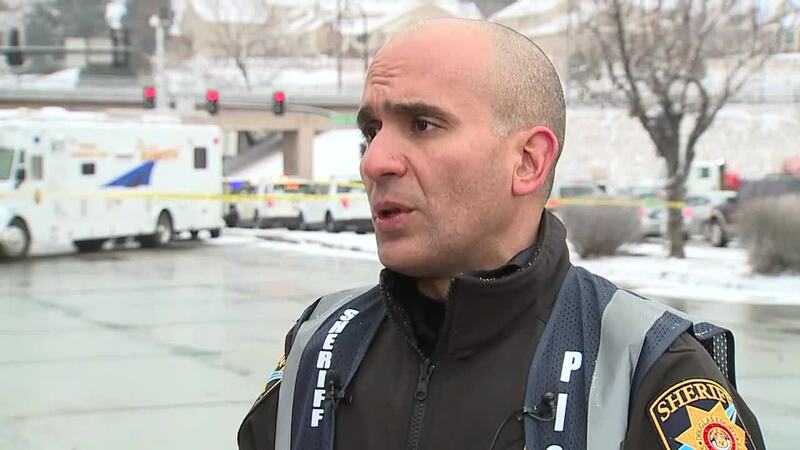 Several streets around the crash were closed for several hours and the RTD station at Mineral Ave. was also affected. Deputies said the identity of the victims in the crash will be released at a later time by the Arapahoe County Coroner. Additionally, they said they’re examining “a multitude of video footage” to determine what charges will be applicable in the case. Another update in this investigation is expected to come out on Thursday. Denver7 digital content producer Óscar Contreras updated this story.